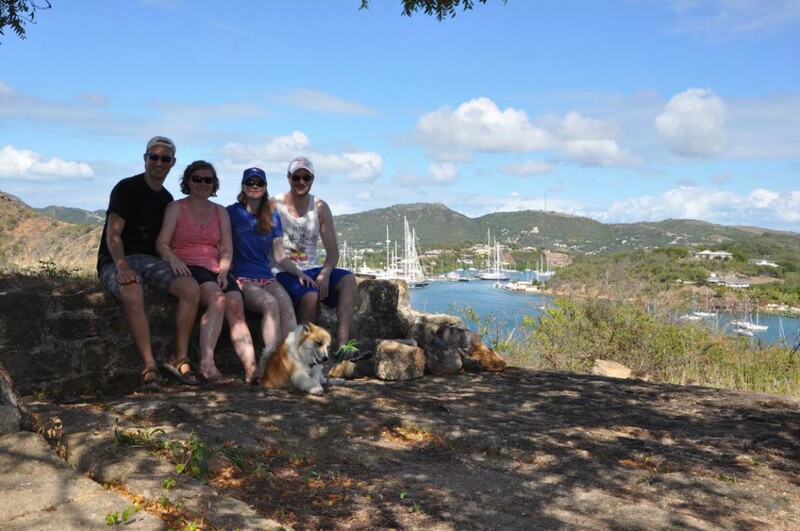 For the past week and a half we have been exploring the beautiful island of Antigua and hosted two sets of visitors which has kept us on the move to find new beaches, snorkel spots and historical sites as well as some local restaurants to sample appetizers and local brews. 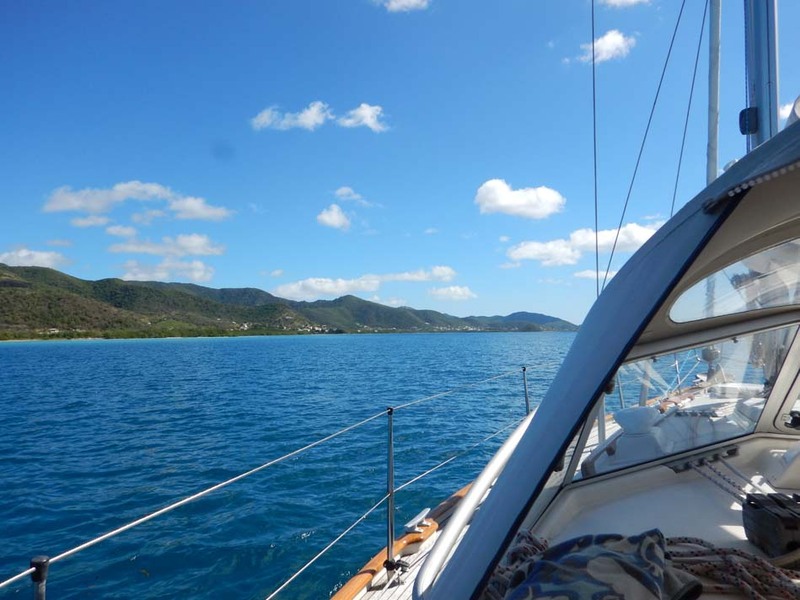 Our trip from St. Martin was the most comfortable, direct and quickest upwind passage we have ever had in the caribbean. We had 5 knots of wind from the ENE and flat seas which allowed the iron-genny to push as along at over 6 knots for the entire journey. We made such good time that we actually had to slow down to wait for the sunrise to enter Jolly Harbour to clear customs. 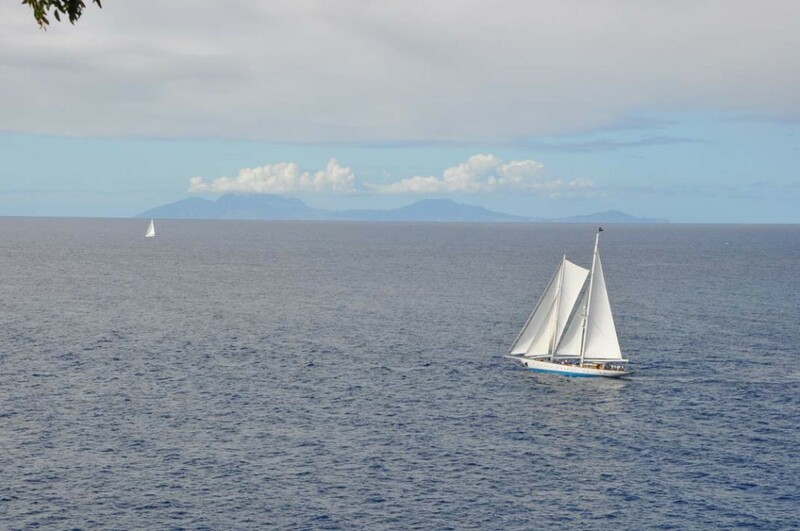 So we’ve done our part to support the oil patch, and after beating most of the time we were offshore, as well as from the Virgin Island to St. Martin, we didn’t feel an ounce of guilt for leaving when we knew the sails wouldn’t do much for us and our stomachs could stay in their places. 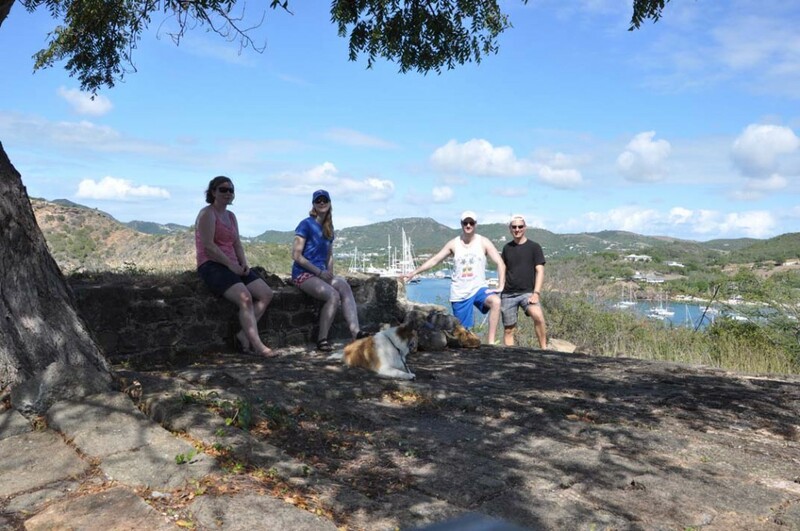 After clearing customs, we spent at night at Jolly Harbour and then took advantage of the still light winds to get around the south side of the island to Falmouth Harbour to provision and get ready for our visit from Brad and Andrea. With our first guests we enjoyed an evening in town sampling local appetizers and beers before settling in at another restaurant for a light dinner. 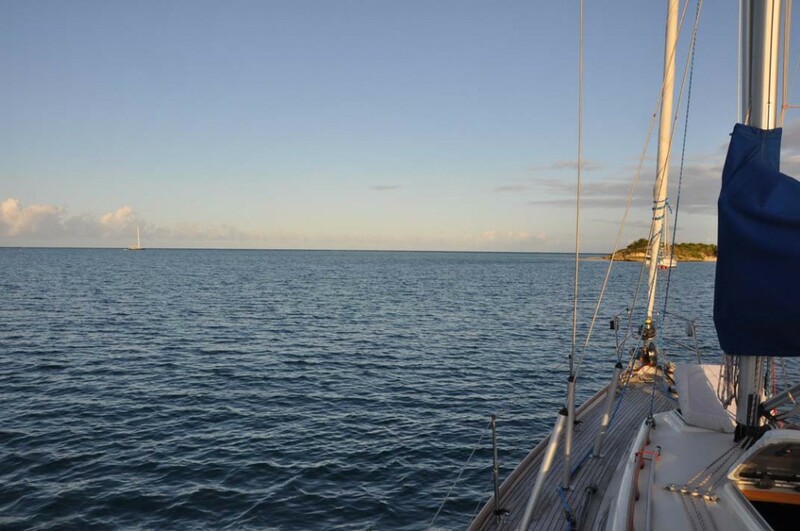 We set sail the next morning for Cades reef off the south-west end of Antigua. We snorkelled for the afternoon and moved to an anchorage nearby for the night along the south shore. 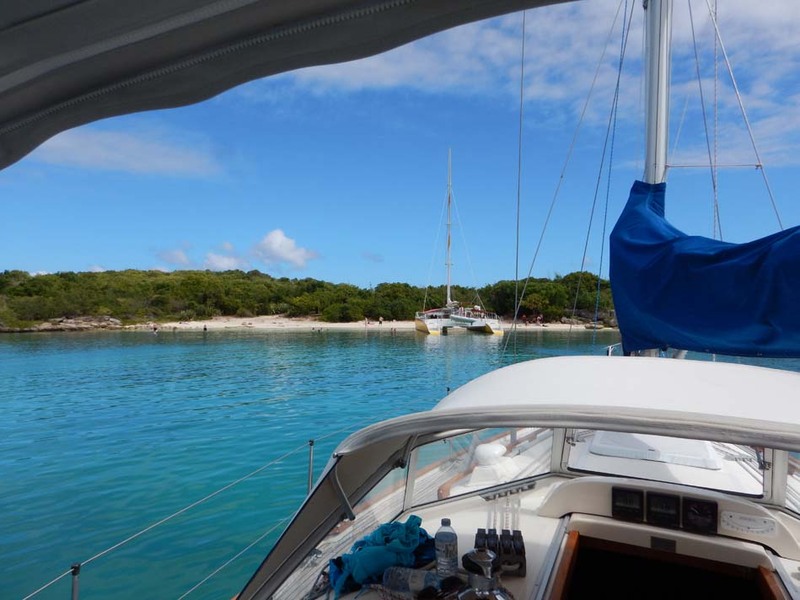 The next day we set sail intending to beat our way east into the fresh trade winds to Nonsuch bay, but after a couple of hours we abandoned those plans and tucked into Indian Creek below Eric Clapton’s large cottage for lunch and another snorkel. 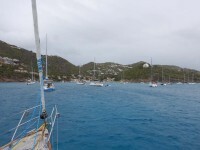 The creek is well protected, but with a mud bottom the water is cloudy so we departed late afternoon and eventually found a space to anchor in English Harbour. 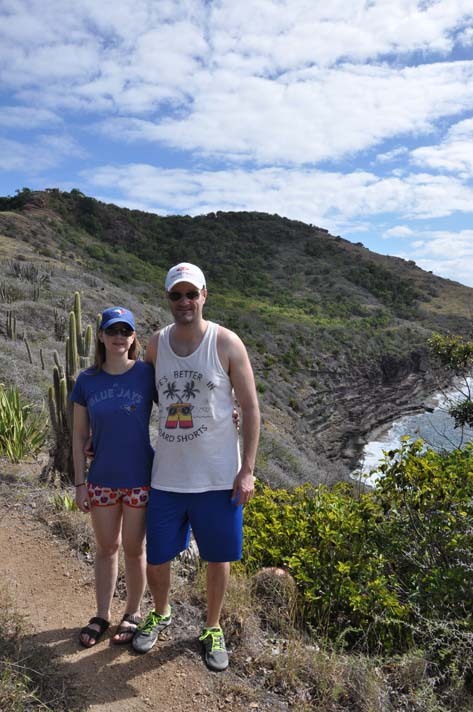 The next morning we hiked part of the way up Shirley’s Heights where we could see the island of Monserrat in the distance, and a hint of Guadeloupe to the south. 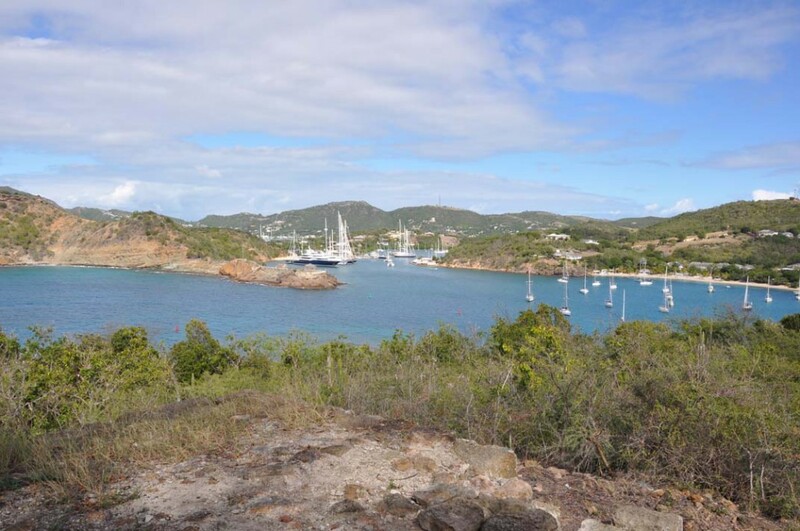 The view into English Harbour is a scenic one. The trail didn’t go far along the south shore, but we still found a nice look off to the weathered shoreline below. Magnus was certainly content to have both visitors and time off the boat. 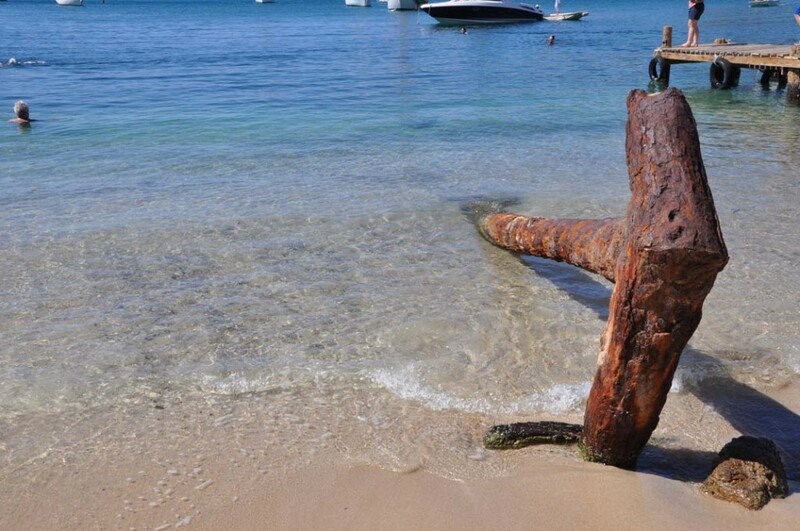 Down on the beach, we found an anchor that demonstrates the size of the ships that used this harbour back in the 17 and 1800’s. 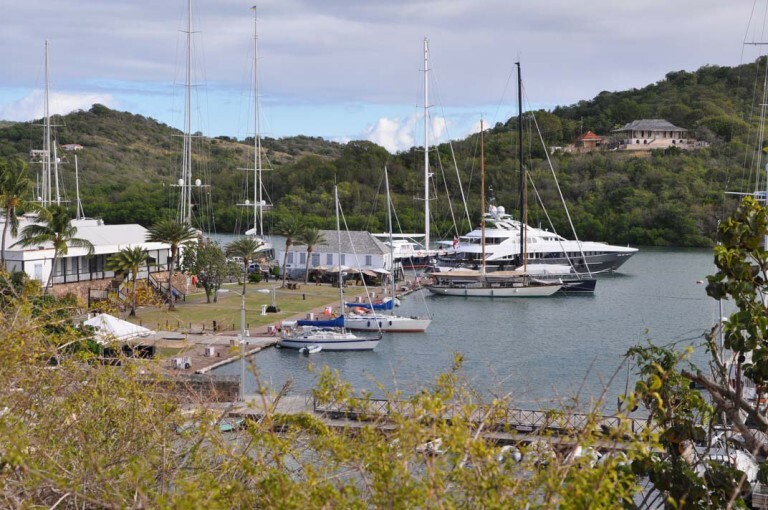 After snorkelling a wreck, we moved Altera into Nelson’s Dockyard which is by far the most interesting marina we have stayed at in our travels. 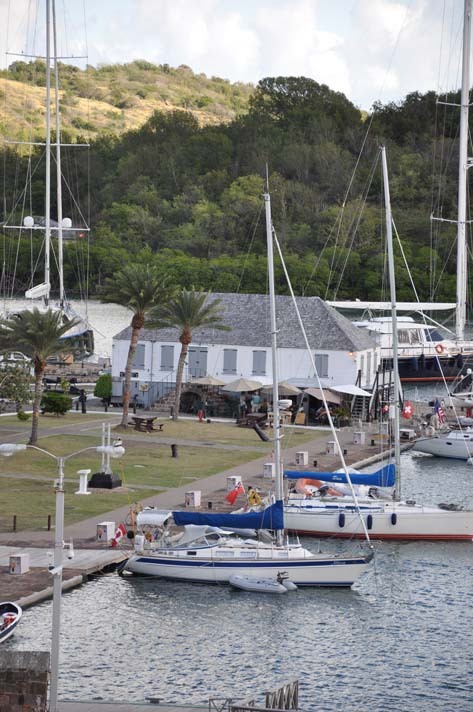 The old dockyard has been fully restored and is part of a national park. The only downfall is you have to drop your anchor and back into the wall for a mediterranean-moor, something we had never done before. Our first attempt we anchored further to port than we should have, so the dockhand just said we would tie one space over, but as we neared the dock, the rudder touched the sand. So we pulled up the anchor to try again. At this point we had a crowd of tourists starting to watch. I decided to take my time and motor in a complete circle to position for another anchor attempt (rather than try and jockey the boat in forward and reverse and so on) which I guess bored some of the tourists, so the crowd thinned a bit and we slowly but uneventfully made it into our spot. We explored the dockyard and found a simple pub for dinner. 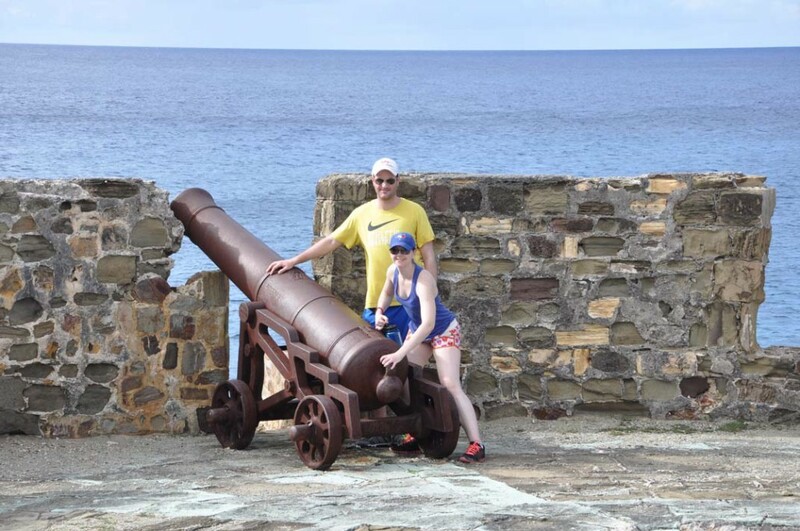 The next morning we did a quick walk to the fort for defending the harbour and Brad and Andrea checked out the cannon. Then they packed their belongings and grabbed a taxi to the airport while we cleaned the boat, ready for Mom and Dad to arrive an hour later. 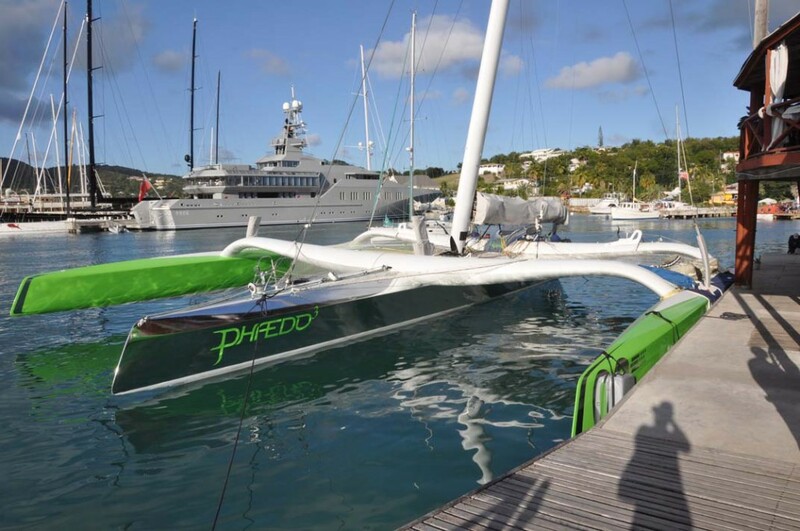 We walked to over to Falmouth harbour the afternoon they arrived to grab a few groceries and found this racing trimaran at the yacht club. 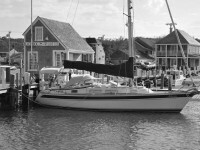 Very high performance and even had a rotating mast like our Hobie Cat had. I’m scared to ask how fast it can go. They grey ship in the background is actually a mega yacht, designed and coloured to look like a Navy ship. Presumably the owner has a fascination with the Navy or made their fortune supplying equipment to the Navy? With Mom and Dad we departed English Harbour past the Pillars of Hercules and headed for Nonsuch Bay for a couple of nights. 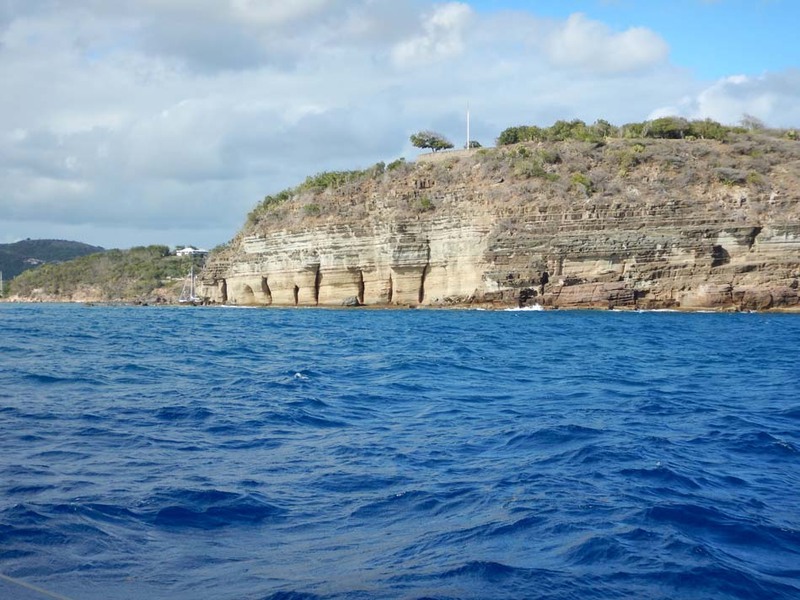 Nonsuch Bay is beautiful and protected from the easterly ocean swells by the barrier reef. Amazing to believe that the only thing blocking waves from the other side of the Atlantic is the a reef. We explored the beaches on Green Island, snorkelled the barrier reef and watched the sunset over Antigua. On our last day, we spent a few hours tucked in near Green Island to snorkel and watch the day tourists come and go before returning to Falmouth Harbour for Mom and Dad’s last night and a great dinner out at one of the local restaurants. Now we will spend a day cleaning the boat and straightening things out before heading to Jolly Harbour for groceries and water. We are likely heading to Barbuda for a few nights before we continue on south. Looks wonderful, sounds like you had a great time with your visitors. Looking forward to seeing more of the islands in the Caribbean as your travels progress. It was fun to explore with company for a change. Great island but we are missing our the french bakery baguettes! Sailors claim that gentlemen never sail to windward, so perhaps I’m just maturing, but one never knows. I wont rule out a trawler one day. 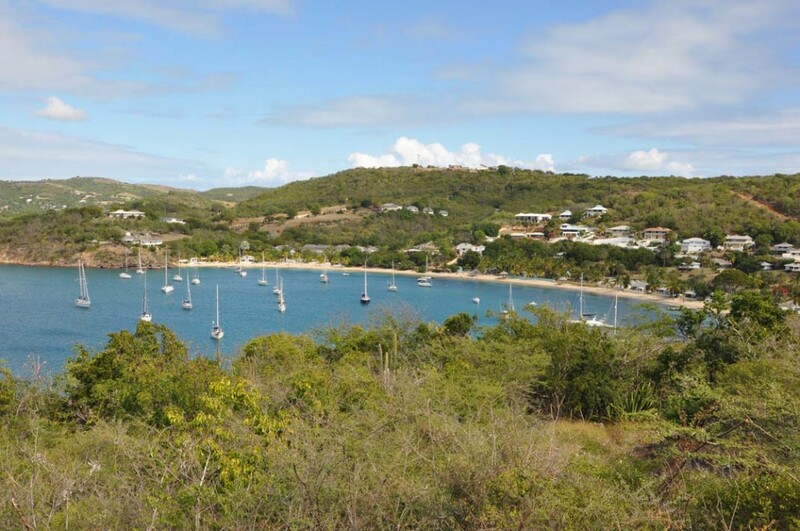 Antigua is one of our favorite islands. We just got back from Santa Catalina Island in the Pacific Ocean. A beautiful place to live and only a two hour ferry ride from LA. 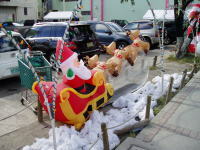 Everyone has a smart car or golf cart for transportation as well as a boat. Sounds delightful and I believe it is a common sailing destination. Might be a while before we get there ourselves. 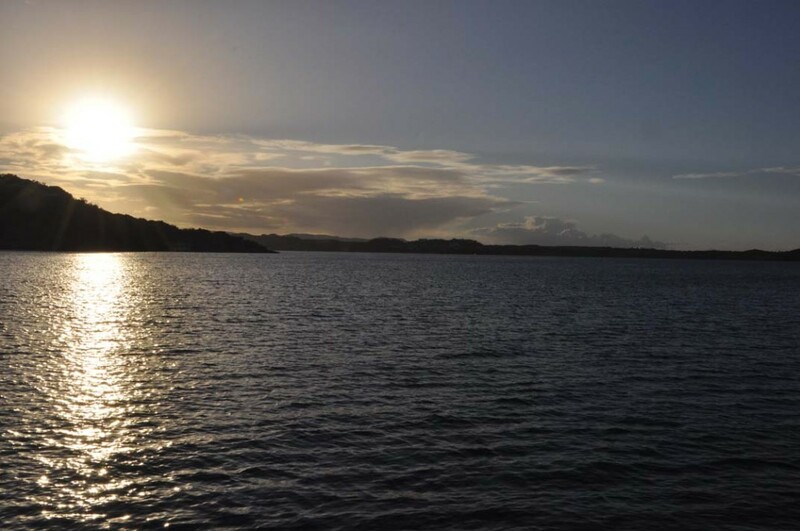 The easiest sailing route from Panama is go via Hawaii. I’m happy to have found your blog! It looks like you’re having a great time! 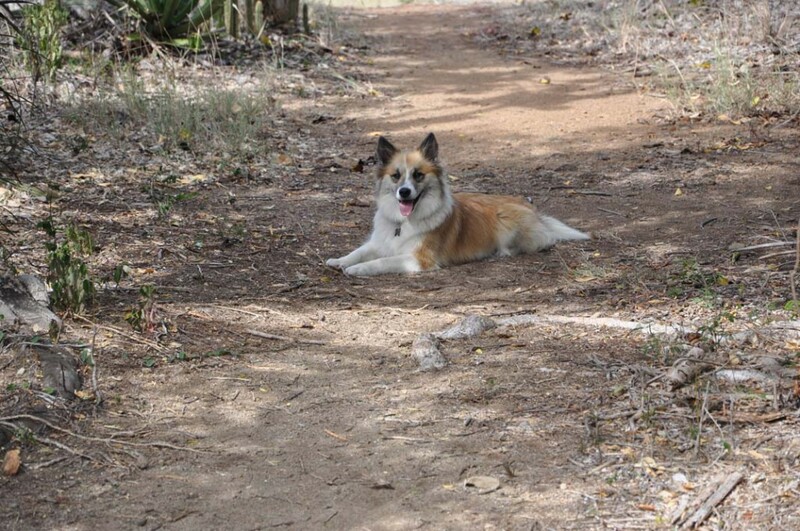 We met at Benures Bay, Norman Island in January 2015. We’re still afloat and heading back towards North America over the next two years. Thanks for commenting, I just checked your blog and wow, you’ve covered some miles! Keep enjoying! I’ll have to look back through the logs when I have better wifi as I’d love to cross the south pacific one day too.